The Bonchamps Gallery (Varades) will show my art work, with the David Lair photographies and the Christophe Durand sculptures… on the Monkey subject. 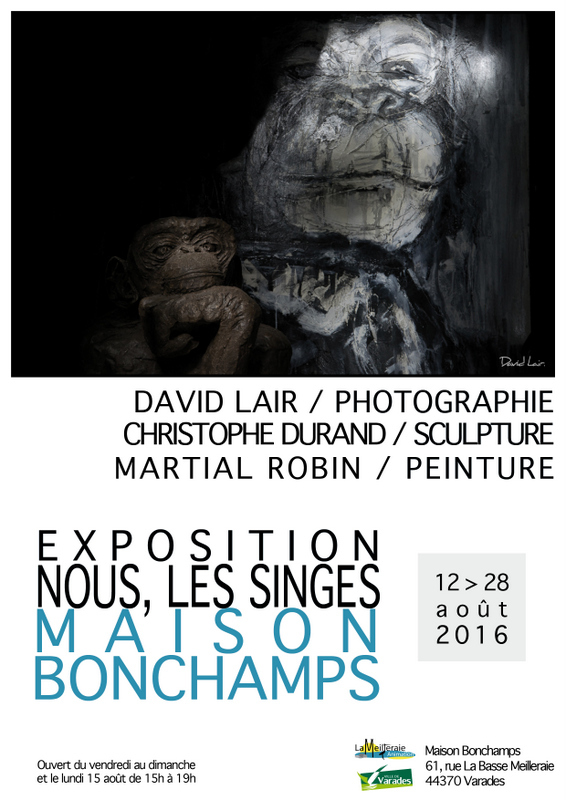 This exhibition “Nous, les singes” will be held from August 12th to 28th. The opening night will be on August 19th at 6 PM. Everybody is warmly welcome for that event. The Donaueschingen Sighthound Festiveal (D) is one of my favorite date of the year. I’ll be there on 13th and 14th of August with 50 paintings included 15 new ones, especially crated for that occasion. The Brussels EDS will be held at Brussels Expo from August 26th to 28th. Martial Robin Paintings will be present for that major event in Hall 5.